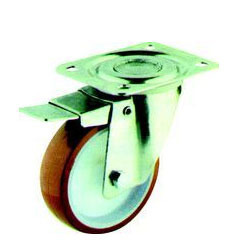 We are the leading supplier of Caster Wheels which is widely used in material handling equipments. 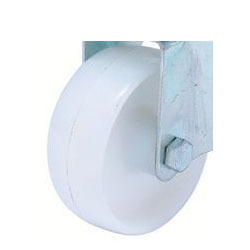 Our range of products includes Nylon Castor Wheel, Swivel Castor Wheel and Brake, Swivel Castor Hi Temp Wheel, Nylon Plain Bore Castor Wheel, Swivel Castor Wheel and Trolley Wheel. 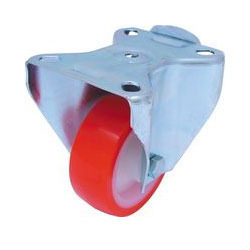 Backed by our efficient workforce, we are able to offer our clients with Nylon Caster Wheels. We procure all our wheels from the certified vendors of the market, who make these using high grade raw material and latest technology. 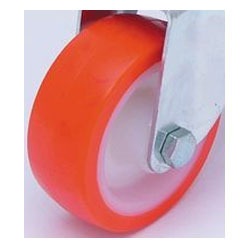 Our wheels are widely appreciated by the customers due to their excellent working capability, abrasion resistance and easy installation. In addition to this, we stringently check all our products on various parameters to ensure flawlessness. Operating temperature range -10°c to 60°c. Not recommended for use where mineral or organic acids are present. Operating temperature range -20°C to 80°C. 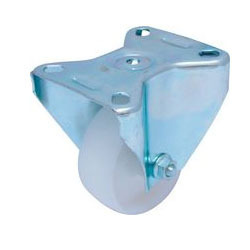 Looking for Caster and PU Wheels ?